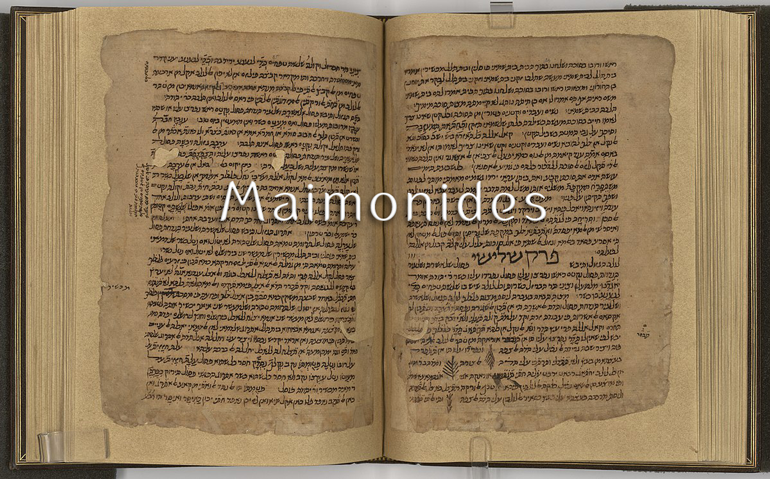 The twentieth day of Tevet is Maimonides’ day of passing. 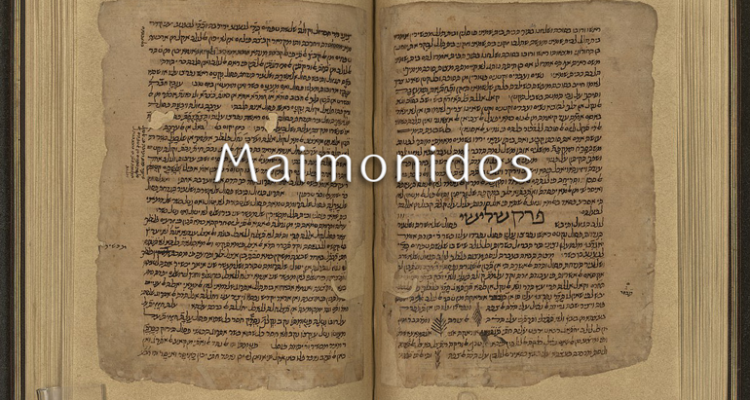 Maimonides is the latin name given to one of the greatest scholars of Torah, Rabbi Moshe ben Maimon, also known by the Hebrew acronym of his name, the Rambam. The Rambam was perhaps the greatest scholar of Jewish law. He is the author of the Mishneh Torah, the most famous code of Jewish law. He is also the author of the Guide to the Perplexed, the most important Medieval Jewish work of philosophy, which expounds all of Jewish thought according to his understanding. Many great authorities even in the Rambam’s lifetime, were not pleased with the Guide, because in it, the Rambam bases his philosophy on Aristotle. Nonetheless, over the generations it has been proven to be the greatest authority in philosophical thought in Judaism. In this article we are going to peruse some of the most important aspects of the Rambam’s thought. In order to organize it in a pedagogic way, we will order these areas according to the ten sefirot, beginning with the crown and ending with kingdom. The highest level of the soul is called “faith.” According to the Rambam, faith in God is to believe that God has no corporeal reality and that He is not to be attributed with any form of anthropomorphism. To believe the opposite—that God does have some aspect of corporeality or human-like attributes is considered heresy. When the Rambam speaks of faith, he differentiates between two types of faith. One he calls “true faith,” the other “necessary faith.” What is the difference between the two? True faith is as stated above, the total negation of corporeality and anthropomorphism with respect to God. Necessary faith is faith that helps common folk uphold the tenets of the Torah, specifically the faith that our actions affect God, causing Him to reveal either happiness or discontent with our actions (emotions, as it were, that give rise to reward and punishment). The issue of God’s anger, is particularly related to the month of Tevet, the month in which the Rambam passed away. According to Sefer Yetzirah, the sense of the month of Tevet, is the sense of anger, or righteous indignation. Since people’s conception of God’s anger is a major stumbling block in being able to rectify our relationship with the Almighty, it is as if the Rambam went to heaven in Tevet in order to rectify this understanding. Metaphorically, his soul returns on his yahrzeit every year to teach us the proper way to understand this often misunderstood issue. Apart from true faith and necessary faith, there is also another form of extreme faith: false faith, or superstition. People who believe or think that the Bible portrays God as “an angry God,” possess false faith (אמונה תפלה), which in Hebrew also means “superstition.” The Rambam explains that God does not really get angry. True faith and even necessary faith both agree that anger and God do not go together. God has no attributes, so He is neither angry, nor is He old, nor is He young, nor is He any other adjective. Rather, necessary faith is the feeling that if I do something wrong, “I anger God.” I make Him angry with me as it were. While He appears to be angry with me, in truth it is I who am projecting my attribute of anger on Him. Another interesting point that emerges from the Rambam’s discussion of necessary and true faith is that he promotes the existence of a middle state. In classic logic (and this includes Aristotelian logic), something can be either true or it can be false. It cannot be in between. But, by framing a truth that is “necessary,” the Rambam in a sense anticipated quantum (or fuzzy) logic, where there is a middle ground between true and false. The concept of necessary belief places the Rambam way ahead of his time. We chose this as the first point, because it pertains to faith and faith is the highest level of the soul. It pertains to my faith, as a Jew, not to God’s faith. The whole purpose of man on Earth is to perfect his Divine contemplation. According to the Rambam, this means at the very least, understanding that if we do something wrong, it indeed causes God to reveal His anger to me. Meaning that from our perspective it seems that God’s anger has been revealed. However, to think that He is in Himself an angry figure, that is totally false faith. We continue looking at the sefirah of crown by focusing on its aspect of will. Now we shall relate to God’s will (before we spoke of our faith in Him). Most often in Chassidut, the simplest way to describe how the crown manifests in the psyche is by equating it with will (which actually only represents the crown’s lower half). Like faith (identified with the highest part of the crown), will is beyond the rational mind. Still, the question posed by the Rambam is, How can God possess will in the first place? Will too is a predicate or a descriptive attribute. We say, “God wills,” and “God wants.” What the Rambam is especially bothered by is how God’s will can change. How can we say that He wants something new? Obviously, this would require God to change in some way. But, we know that God is beyond change, as the prophet says, “I God have not changed.” How can there be something new in God or from God. The same question obviously relates to the creation of the world. 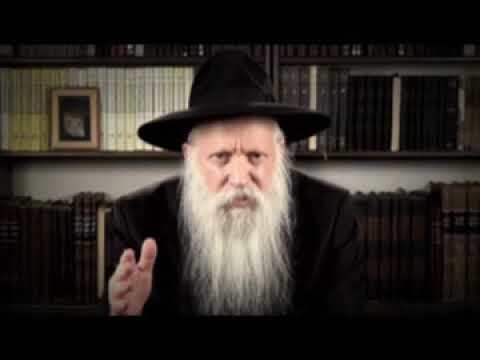 At the very beginning of the Eitz Chaim, Rav Chaim Vital who wrote the Arizal’s Kabbalah, asks a very simple sounding question, which depends to a great degree on the question of God’s will changing. He asks, if the world is a good thing, why did God wait so long to create it? If He would have not waited, the world should have been an infinite number of years old. The answer given there and elsewhere is quite simple. This question would be applicable if somehow time were not created. But, obviously, if creation also included the creation of time, this is not really a question, for we would only see the age of the universe as a finite amount—the amount of time that has passed since the moment of creation. Still, will is somewhat different, because you have to say that at some point (regardless if this point is the same as the creation of time, or whether it is not the same moment) there had to arise a will, which implies some change in God. So this actually, the question presented about time includes the question the Rambam asks about will. In the Guide, the Rambam explains that if there is and always was an intent to will at some given point, then when that point comes and the will takes effect that is not considered a change in God. In the simplest words, using the context of time: if God had planned primordially, from eternity, that at a certain moment He would will the creation of the world, then when that moment came and He willed and created the world, that is not a change in Him, since the intention was there eternally. If we think about it, the Rambam is identifying two levels of will, the actual will and the intention to will. If there was no intention of will, then the will to create a world (and everything else) would imply a change in God. But, since the intention had always been there, one cannot say that God underwent any kind of change. This same principle can be extended to everything that God wills. Take for instance, a person who is sick to the point where without supernatural intervention, he or she would die. Yet, we pray and God hears and answers our prayers making the patient recover. As a faithful Jew, of course the Rambam knows that prayer has potency. But, according to him, what has happened? The Rambam would say that before the sick person was healed, God did not have an active will to heal the person. But, because of prayer, the will to heal became active. According to the Rambam, this does not imply a change in God. Instead, we must assume and believe that there was an eternal intent in the Almighty that when this person fall ill and we pray for him or her, then God will create as it were a new will and heal them miraculously. Since the intention was eternally there—following the verse, “I God have not changed,”—it is implied that there had always been a hidden or concealed will in God. 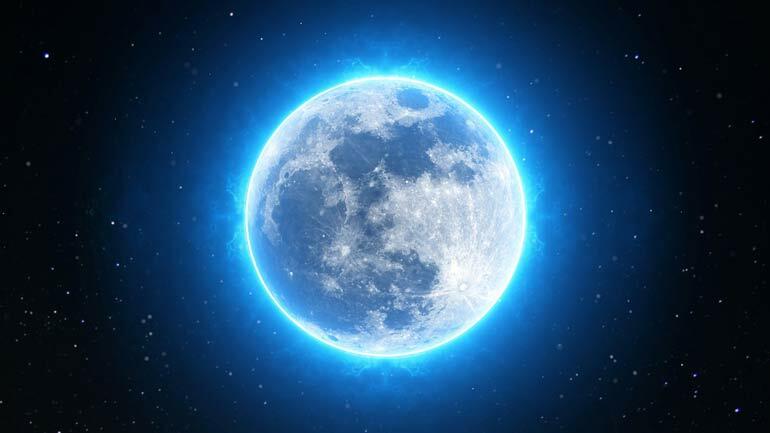 This primordial will has written in it all the apparent changes that will occur in the active will throughout history. In short, the Rambam uses the difference between primordial will and active will to explain how it is that there are apparent changes in the Almighty. Turning to the sefirah of wisdom, we find in the Rambam’s thought a concept related to what we have just discussed regarding God’s primordial will versus His active will. Some of the Rambam’s critics (such as Rabbi Leow of Prague—the Maharal), were opposed to what they considered the Rambam’s identification of God with pure essential intellect. Likewise, Chassidic thought, which in many ways is based on the work of the Maharal, questions this identification and explains that God cannot be defined as perfect intellect. Rather, He completely transcends the mind and the intellectual faculties. Still, for the Rambam’s system of thought, mind and intellect are essential components. In this, the Rambam differs from Aristotle. According to Aristotle, the active intelligence, or mind (שכל הפועל) is one and the same as God. But, the Rambam says that they are not identical. Rather, the Rambam argues that the active intellect is an intermediate between man and God. It is the faculty by which man comes to know and thereby connect with the Almighty. What then is active mind, or intelligence? When a child is born with a high intelligence quotient (IQ), his intellectual abilities are originally in an as yet unrealized state. Thus, his intelligence is said to be, “passive intelligence.” But, as the child grows and matures, by studying and learning, he or she actualizes this intelligence; thus, it becomes active intelligence. Contrastingly, God’s intelligence (or mind) is always in the active state. Interestingly, the value of “active intelligence” (שכל הפועל) is 541, the same as the numerical value of “Israel” (ישראל). Indeed, as we will explain shortly, when corresponding the various forms of Divine and human intellect with the letters of God’s essential Name, Havayah, the active intellect corresponds to the first letter hei, and thus parallels the world of Creation, the origin of the soul of the Jewish people. To digress for a moment on the topic of the soul. It is important to note that in the Guide (and in most of his other philosophical writings), the Rambam makes it clear that every single human being, Jew or non-Jew, can go so far as to become a prophet. The spiritual level a person attains, the level of their connection with God, depends only on their deeds and their devotion to knowing God. This approach is actually an explicit saying in the Tana Devei Eliyahu, which states that the spiritual level a person can attain depends entirely and solely on the truthfulness of their search for God. That is also what you get reading the Guide. In a certain sense the Guide sounds secular. The Rambam’s approach in this regard is also related to why he allows himself to rely so much on a non-Jew, Aristotle, who represents Hellenic culture. Obviously, the Rambam is relying on the verse, “God has given beauty to Jepheth, and he will dwell in the tents of Shem” (יפת אלקים ליפת וישכון באהלי שם), Jepheth was Noah’s son who became the father of the Greek nations, the originators of classical philosophy. What this verse states is that whatever is found spiritually and intellectually beautiful in the world of Jepheth should find a place in the Torah—which was given to the Jewish people, the progeny of Shem. Of course, this raises the question of what then is the ongoing battle between Hellenism and Judaism. The Rambam attempted to carry out this verse’s directive by incorporating Aristotle’s teachings into his proof of God’s existence as it appears in the Guide. At the same time, there are a number of points on which he disagrees with Aristotle. Of course, Aristotle, and his own teacher, Plato, developed an almost completely non-idolatrous philosophy based on an intellectual picture of the Almighty, which already did away with a great deal of what was wrong with Hellenism. To understand how prophecy works, we must return to the active intelligence or mind. Though God Himself is beyond the active mind, God’s intelligence is always active, as we will explain later. Thus, according to the picture drawn by the Rambam, when God wants to convey prophecy to a human being who sincerely seeks to know Him, then the active mind is what flows into the person. The active mind acts as an intermediate per se between the Almighty and the human mind. After the active mind comes the spiritual non-corporeal intelligence of the soul (which is above what is called the nefesh, the human psyche) and then comes the mind of man as it is embodied in a body. Because the human mind is embodied, it depends on physical metaphors and images. These are what we call the power of imagination. The prophet is someone who has clarified and purified his power of imagination, allowing him (or her) to see, as it were, prophetic images through his imagination and to clearly interpret them. One way to describe the imagination is the place where spiritual insight is reflected. Reflection is a concept related particularly to the sefirah of kingdom, corresponding to the final letter hei of Havayah. The sefirah of kingdom is usually described as the source of reflected light, where light that descends from Above is reflected back to its source. Another point to make before moving on is that the third level (from below), the Divine active mind can be thought of as Knesset Yisrael (literally, the Congregation of Israel), considered the root of the souls of all the Jewish people. As in the crown and wisdom, each of the observations we are making about the Rambam’s thought is a meditation in and of itself. Regarding the sefirah of understanding, we will look at the well-known idiom, “From Moses to Moses (Maimonides) there is none like Moses” (ממשה עד משה לא קם כמשה). The Rambam stature was considered so great, that this idiom was coined during his lifetime. It is most appropriate that the Rambam’s day of passing occurs during the time of the year when the Torah portions being read depict the birth, upbringing, and early steps of Moshe Rabbeinu as leader of the Jewish people. There are also three other individuals in the Bible whose name God repeats twice when calling them. These are: Abraham, Jacob, and Samuel. In each of those other instances of God repeating an individual’s name, there is a certain break in between the two instances of the name. This break, like all other cantillation marks does not appear in the Torah scroll, but in the Mesorah, the oral tradition of how the Torah should be read. There it is depicted by a line between the two words, for example: “Abraham | Abraham.” This cantillation mark is called a psik ta’ama. However, when God initially addresses Moses, there is no psik ta’ama separating the two instances of Moses’ name. There are many explanations given for this difference between Moses and the other individuals whom God calls by name twice. In our context, we can say that this alludes to the idea that there is no differentiation between Moses and the Rambam. We might say that regarding the other individuals, if there is a second example of their soul in the world, there is still some inherent, unbridgeable difference between the first and the second. As mentioned earlier, much of the criticism surrounding the Rambam revolves around his admiration for Aristotle. Would we think that Moses too would have admired Aristotle? What might be the Rambam’s answer to this question? The Rambam’s answer is well known. The Rambam would argue that Aristotle did not himself develop his thought, rather, he received his knowledge from earlier generations who had learnt it centuries earlier from the patriarchs and the prophets of Israel. He is not relying on Greek culture per se. This is all truth. As the Rambam says in the Guide, “Hear the truth from whomever has spoken it.” Thus, for the Rambam, Moses would certainly agree with Aristotle’s philosophy, even though he himself would have probably expressed it using different language. Of course, this does not mean that the Rambam would consider Moses and Aristotle equals, for Moses’ revealed the word of God as practical commandments, 613 commandments that are able to bridge the gap between the infinite and the finite, even for a simple person. As much as the Rambam may indeed be a second instance of Moses—and again, without a separation between them— according to Kabbalah, there must be some way to differentiate between them. A powerful way to capture the difference between them stems from the sages’ saying, “Moses merited understanding” (משה זכה לבינה). In Kabbalah, the Arizal teaches that there are two related, but different words used to refer to the sefirah of understanding. The first is binah (בינה), the second tevunah (תבונה). Binah refers to the higher level of understanding, which is purely intellectual, while tevunah refers to the manner in which understanding pertains to the heart’s attributes, such as love and fear. So we might say that both Moses and the Rambam merited understanding. Moses though, merited binah, the higher level of pure intellectual understanding. The Rambam we will credit then with having attained lower understanding, tevunah. The Rambam is often called, “the great eagle” (הנשר הגדול). If he is the great eagle and he is compared to Moses, then we need to ask whether Moses was ever referred to as an eagle. Was Moses ever compared to any animal figure for that matter? Moses was not named by his mother and father, “Moses,” but by Pharaoh’s daughter. She said that she gave him this name because she had taken him out of the water. What kind of a soul was Moses’ soul? There are two types of souls according to Kabbalah: land souls and sea souls. The sea souls are like fish. Thus, Moses is the greatest example of a fish soul. How do we know this? First of all, Moses was born (and passed away) on the seventh day of the month of Adar. The Zodiac sign, the mazal associated with the month of Adar is Pisces, or fish. Moreover, the number 7 itself is the value of the word “fish” (דג), so the seventh day of Adar is related to fish perhaps more than any other day of the year. But, the sages reveal that Moshe was not only compared to a fish, he was actually called, “fish.” How so? Moses was his disciple Joshua’s spiritual father. Joshua is referred to in the Torah as Joshua the son of Nun. But, according to the sages, Nun does not refer to Joshua’s biological father, but rather to his spiritual father, Moses. Nun in Aramaic actually means “fish,” and thus Moses is referred to as a “fish” (one who was drawn out of the waters) by the Torah. In Kabbalah, we find a complementary explanation. The name “nun,” is also the name of the letter “nun” (נ), whose value is 50 alluding to and connecting it inherently with the sefirah of understanding, which has Fifty Gates. Thus, Moshe’s name, “nun,” is one of the sources for the sages saying that, “Moses merited understanding.” In fact, Moses attained “nun”—the fiftieth level of understanding—twice in his life: once when the Torah was being given and a second time upon leaving this world. Interestingly, the value of the letter nun (נ), 50, is also equal to the value of the phrase in Jonah, “the great fish” (דג גדול). Now we can safely say that just as the Rambam was called the great eagle, so Moses can be called “the great fish.” Now, both “fish” (נון) and “eagle” (נשר) have three letters each. This being the case, one of the most interesting numerical operations in Kabbalah is to multiply their letters (like a dot product in vector mathematics) and find the sum of the products. To do so, we multiply the first letter of “fish” (נ) with the first letter of “eagle” (נ), or 50 times 50, whose product is 2500. Next, we multiply the second letter of “fish” (ו) with the second letter of “eagle” (ש), or 6 times 300, whose product is 1800. Finally, we multiply the third letter of “fish” (נ) with the third letter of “eagle” (ר), or 50 times 200, whose product is 10000. The sum of these three products, 2500, 1800, and 10000 is thus 14300. But, incredibly 14300 is the product of 26 times 550, where 26 is the value of God’s essential Name, Havayah, but more amazingly, 550 is itself the value of “eagle” (נשר). In other words, the fish multiplied by the eagle yields the “eagle of Havayah.” There is no mathematical reason forcing this to happen. It certainly does not happen when we multiply other words with an equal number of letters in this manner. We have already mentioned the Rambam’s central theological tenet, which is that you cannot know the Almighty by any descriptive attributes. In philosophy this is known as apophatic theology. Another way of saying this is that you can only know God by negation. Nothing can describe God, no attributes can be given to Him. So, if the Torah describes God as wise, it only comes to negate God not being wise, in other words, it means that God is not not-wise; it would be incorrect to attribute to God anything that is the opposite of wisdom. But, once more like in quantum logic, to be not not-wise in classical logic means to be wise! In classical logic, the meaning of negation would be captured by just adding the word “not” before the negative attribute. So, for example, with respect to wisdom, God would be described as not-”not wise.” But, the meaning of a double negative would be to just remove the negation, and so “God is not-not-wise” in classical logic would just be identical with saying that “God is wise.” But, as we have already explained, that is not what the Rambam has in mind. What the Rambam means to say is that God’s wisdom cannot be compared to any kind of wisdom that I as a human being can grasp. In saying this, the Rambam is rephrasing one of the most important phrases in Kabbalistic literature, which appears in the introduction to the Tikkunei Zohar (which many people recite every Friday night), “You are wise, but not with any kind of known wisdom” (אנת הוא חכים ולא בחכמה ידיעא). Meaning, that a human being cannot grasp what God’s wisdom is. So when the Rambam is saying that you can only grasp God negatively, he is not saying that it simply means “double negation.” Rather, he means that God is beyond whatever we understand about wisdom and every other example of corporeality or anthropomorphism. If it was just simple negation for instance, God is angry, for that we could just say, that is simply not the case. But, when we want to say that God is kind, we cannot say that it is not true, rather that God’s kindness is a kindness that we cannot understand. We call it “kindness” because that is how we experience Him. According to Chassidic teachings, the Jewish soul can grasp something of God. The Tanya begins with the fact that this is what makes a Jewish soul unique. Grasping something with the soul is different than grasping it with the intellect. What the Rambam says is that the intellect that uses definitions cannot grasp what God is, but the soul is beyond the intellect. To try and illustrate what it means to grasp something with one’s soul, Reb Hillel of Paritch taught a parable. He explained that throughout our lives, each of us is searching for a lost melody—the melody our soul heard before coming down into the world. Our soul, once it enters this world, begins searching for this lost melody. Everywhere we turn, our soul is listening for that melody, but none of the melodies we hear turn out to be the soul’s melody. So the soul goes through life hearing many melodies, but in the end none of them are what it yearns to remember. Why is this a parable for how the Jewish soul grasps God? Because on the surface, it is true that we cannot know anything about God. But, that was not always the case. The soul did, before it entered the body, know God. The melody we are seeking in the parable is a symbol for our knowledge of God that we had before being born. Saying that the Jewish soul does have some grasp of what God is, that has to be described as the possibility of having “positive theology.” Thus, in spite of the Rambam describing only apophatic (negative) theology, we would like to incorporate also some form of positive theology. One way to do this is by saying that the four letters of God’s essential Name, Havayah are the initials of “knowledge by negation and knowledge by affirmation” (ידיעת השלילה וידיעת החיוב). Thus, the first two letters, yud and hei, represent negative theology, while the final two letters, vav and hei, represent positive theology. What is important to notice is that we could have written the order of this acronym exactly the opposite, with the negative theology being represented by the final two letters and affirmative (positive) theology represented by the first two letters. The reason this is the better way to order them is that positive knowledge of God is found in the heart, in what is known as the heart’s innermost dimension. The heart and its emotional faculties correspond with the final two letters of Havayah. Where does evil come from? In the Guide, the Rambam dedicates a chapter to discussing the issue of evil. His contention is that there are three sources of evil in the world, but that in the end, evil is far less prevalent than good. The first and primary source of evil, accountable for the clear majority of negative things in each of our lives, is we ourselves. Our own choices, our own behavior, are the source of most the evil in our lives. Thus, if something negative has happened to someone, the majority of the chances are that the person himself is responsible for it. The second source of evil is other people. A small minority of the negative things in our lives are inflicted upon us by other people. The third source of evil is nature. But, nature is the source for an even small percentage of the evil in the world. The most important and novel observation made by the Rambam is how evil is divided among these three sources: the individual, others, and nature. Most people think that most of the negativity and evil we encounter in life is inflicted on us by either nature or other people. But, the truth says the Rambam is that I am responsible for most of the evil that happens to me. Why do people make this mistake? Because every person judges reality from his or her own perspective which places him or her self at the center of all reality. Egocentricity is to blame for the skewed view we have of reality and of the evil in it. The three sources of evil that the Rambam describes clearly correspond to the three lower worlds in Kabbalah. The majority of the evil is in the world of Action, which is what a person does to himself. The small minority is what others do to him and that corresponds to the world of Formation. And the smallest minority originates from nature and that corresponds to the world of Creation. But, in the good, there are four levels. In addition to the good that a person does for himself, that others do for us, and that nature does for us all, there is the ultimate source of absolute good, the Almighty Himself. Starting with nature, the very fact that I have air to breathe is part of the constant goodness that nature does for every one of us. Understanding that everything in nature that sustains life is part of nature’s goodness can help us understand how nature is infinitely more good than it is evil. The same goes for other people. Most of the people in the world mean well, and most human interaction is not meant to harm but to increase wellbeing in the world. But, when it comes to myself, the majority of my actions might not be so good, but still I do intend to treat myself with goodness. However, when it comes to the good, the good has a fourth source, the ultimate source of absolute goodness, which is God (in fact, in English and German, the word “God” literally means “good”). No evil comes from God, but good certainly does. Sometimes God’s goodness is manifest through nature and through natural events, but sometimes it is not and it appears to us as a miracle. Another name for the sefirah of might in Hebrew is “law” (דין). Clearly then the Rambam great codex of law, the Mishneh Torah, represents the sefirah of might. The Rambam himself called this great work, Hayad Hachazakah, which literally means, “The Strong Hand,” a clear allusion to the left hand, the hand of might. The Torah uses three idioms with the word hand: “the strong hand” (היד החזקה), “the great hand” (היד הגדולה), and “the raised hand” (יד רמה), all in reference to the exodus of the Jewish people from Egypt. 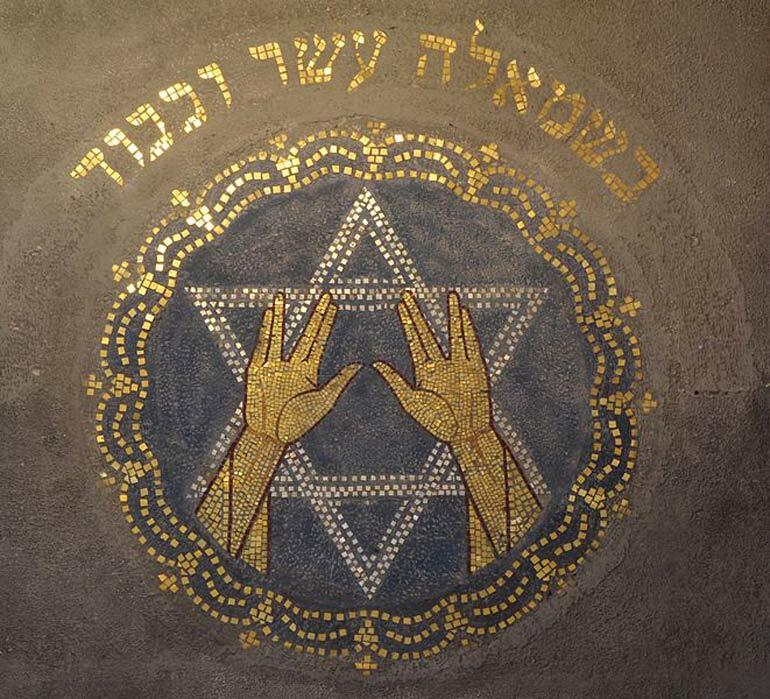 The strong hand is the left hand (and the sefirah of might), the great hand is the right hand (and the sefirah of loving-kindness), and the raised hand relates to the middle axis of the sefirot, particularly to the sefirah of knowledge, from which the loving-kindness and might emanate. The Arizal identifies the Rambam’s soul-root with the left sideburn of Adam’s head, the origin of the left (strong) hand. The value of the word “hand” (יד) is 14. The Rambam loved numbers, and sometimes explicitly, but most of the time implicitly used them in key parts of his work. He named his legal work the Strong Hand because in all it contains 14 distinct books, each of which he gave a name. Perhaps his special affinity with the number 14 stems from the fact that he was born on the fourteenth day of the month of Nissan. In his teenage years the Rambam wrote his very first book called “A Treatise on Logic,” in which he set out to explain the principles of human logic and thought. That book too he purposefully divided into 14 chapters. The sefirah of beauty is related to how close a person is with God. According to the Rambam, the only way to come close to the Almighty is through the intellect, by developing one’s active intellect or mind. Much of the criticism aimed at the Rambam focuses on his devotion to the intellect. About two centuries after the Rambam, Rabbi Chasdai Crescas wrote an important critique of the Rambam in his book Or Hashem. One of his main arguments is that to be a good Jew and to be close to God is not a function of the mind, but of the heart. 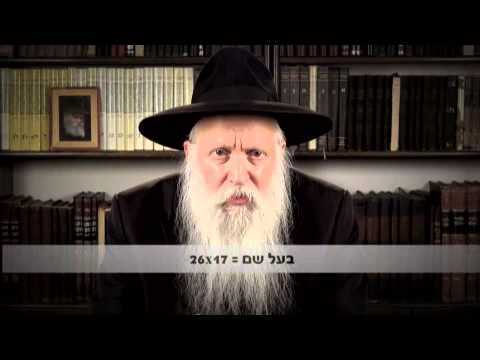 Obviously Chassidut is closer to Rav Chasdai. But, according to the Rambam to be close to God is a function of the intellect. How does the intellect relate to the sefirah of beauty, which is associated with the heart? The Zohar explains that the sefirah of knowledge is the inner soul of beauty. Recall that in reference to knowledge, we discussed the Rambam’s negative (apophatic) theology. By definition, according to the Rambam, the way to come close to God is by freeing oneself of all false images of what God is. For this, one has to have a very strong intellect that overcomes the need of the heart to feel God in some corporeal or semi-corporeal manner. The sefirah of beauty functions both in terms of our closeness to God and in terms of God’s closeness with us. The Rambam explains that the closer I grow to God, the closer He is to me. How can this be seen? He explains that God’s Providence is greater when it comes to those who are close to Him. Providence is in a sense the way that God knows creation, it is the experiential expression of His knowledge, the inner soul of why one person is closer to God’s Providence, and another is more distant. The sefirot of victory and acknowledgment in the Rambam’s thought also have to do with Providence. God’s Providence is as it were His “eyes.” The Rambam of course cannot stand any form of corporeality being associated with the Almighty, and so this idiom, “God’s eyes,” is just a metaphor for God’s Providence. As we mentioned in regard to knowledge, according to the Rambam, Divine Providence is greater on the individual who is closer to Him. It follows therefore that when it comes to those individuals, or other parts of reality, that are farther from Him (farther from gaining the correct intellectual appreciation of negative theology), Divine Providence treats them not on an individual level, but rather all together in a general way. In other words, there is personal Divine Providence and there is general Divine Providence. The Ba’al Shem Tov on the other hand (based on explicit sources from the sages) teaches that Divine Providence views every single element of creation individually. Every leaf and every insect enjoy personal Divine Providence. How then does Chassidic thought reconcile the Ba’al Shem Tov with the Rambam? The answer given in Chassidut is that externally only (as manifest in consciousness), there are differences in Providence. But, actually, God’s Providence is over all, and equally. One of the meanings associated with the sefirah of foundation is order. One of the strong critiques against the Rambam was regarding his principle of belief in the resurrection of the dead. There were those who in his lifetime argued that he did not truly believe in it. To answer this critique, the Rambam wrote a lengthy and in-depth epistle titled, the Epistle of the Resurrection of the Dead. In this work, the Rambam explains his point of view, and why even according to his philosophy, there is room for the Resurrection. Why were some scholars convinced that the Rambam did not believe in the Resurrection in the first place? The reason lies in the fact that he writes that the World to Come, which is eternal, must be purely spiritual, because a physical body, in his view, cannot exist eternally. This angered many sages who knew that the World to Come had to include a body, as it states in the Talmud. So what does the Rambam explain? He says that certainly there will be a physical resurrection of the dead, but it will only be a temporary state. The bodies will die once again, and then the true World to Come will be an eternal spiritual reality. This version also was not accepted by many, but this was his belief. Even this is rationalized in Chassidut. In short, Chassidut believes that the World to Come will be physical and eternal at the same time. In the ultimate future the soul will not shed the body but physical reality itself (the body) will ascend to a plane of existence that at present is purely spiritual (as did the body of Elijah the prophet). Corporeality itself will reveal the infinite and thus will no longer fall under the law of entropy. According to the Rambam there are only two commandments that sum up the entire Torah: to believe in God (positive) and not to worship idols (prohibitive or negative). In the Guide, the Rambam explains that the whole idea of government and society and all the laws of the Torah are simply a support system for the individual to best perform these two commandments. To come to perfect faith in God and not to worship any form of corporeality. 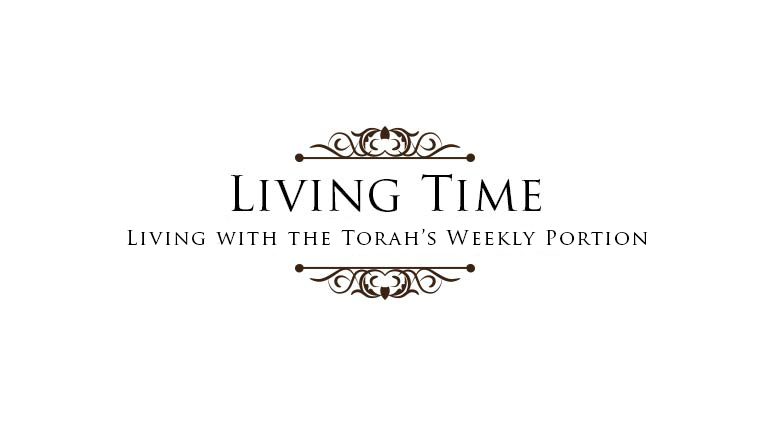 Thus, the only reason for us to invest so much time and energy in creating a society that is according with Torah is so that people have the perfect conditions that will support the performance of these two commandments. Unlike other philosophers, the Rambam does not say that the creation of the world ex nihilo depends on the precepts of faith in God. In his introduction to Perek Chelek in the Mishnah, the Rambam enumerates thirteen principles of faith. The first five principles of faith regarding God have nothing to do with whether or not the world was created. The Rambam’s position was knowingly stated in contradistinction to the position of the Kalaam. The Kalaam (lit., Speakers in Arabic), were Muslim philosophers during the Rambam’s time, who were fatalistic and deterministic in their thinking. Therefore it follows that the universe has a cause, i.e., the First cause, or God. The Rambam however argues against the Kalaam. Not necessarily because of their proof for reality having been created, but rather that it also implies that there is no free will (a topic we will not get into in this context). The Rambam states that it is not at all obvious that the world must have been created, meaning there is no necessary proof for reality having been created because everything must have a beginning and therefore a reason or cause. The Rambam repeats that Aristotle, who was very well aware of how causality works argued that the world is primordial, meaning it never came into being, but had always existed. So, in terms of creation, the Kalaam’s argument are the first thing the Rambam argues against. Afterwards he brings three other possible explanations of creation. The first is the Torah’s (Moses), the second is Plato’s, and the third is Aristotle’s. He explains them exactly according to the levels of Creation, Formation, and Action. Moses in the Torah says that the world was created something new from nothing. Plato says that the world is something new from something that already existed. Aristotle says that it is primordial (neither new, and certainly not from something). These three explanations correspond in a straightforward manner to the essence of the three lower Worlds, Creation, Formation, and Action. In Hebrew, the verb “to create” (בריאה) indicates the coming into being of something from nothing. Thus, Moses’ account of creation as it appears in the Torah, is referring to creation the way it seems in the World of Creation. In the World of Formation, we find the concept of something coming out of something (יש מיש). This is the approach taken by Plato. Finally, Aristotle’s view, which states that the world was never created fits well with the consciousness of the World of Action. About the World of Action (which also corresponds to the sefirah of kingdom), it is said that it is divorced, or severed from what is above it. It also causes whatever emanates from it to seem to be independent of its source. 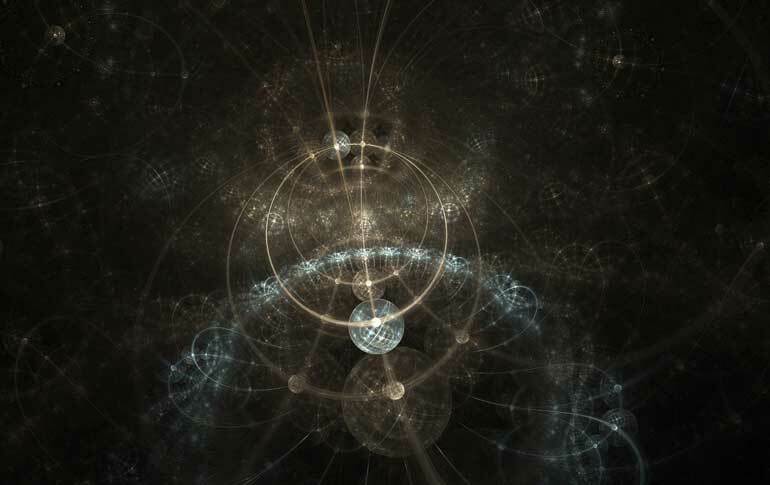 Therefore, from the perspective of the World of Action, the world does not even look created, it just looks like it has always been here, it just recycles the same reality again and again (Aristotle) of primordial matter. The Rambam says that he cannot prove any of these approaches, but of course, in terms of faith, he believes in Moses’ account in the Torah (he does note that it makes a little more sense than the others). Between Plato and Aristotle, the Rambam writes that he can accept Plato’s position at a certain level (he can live with it, so to speak), because it is at least close to the Torah’s creation from nothing. But, with Aristotle, since his viewpoint is not provable logically, he has to remain at odds. Now that we have gone through all the sefirot and surveyed which part of the Rambam’s work corresponds to each, we want to turn to one of the most formidable questions anyone who seriously studies the Rambam is faced with. 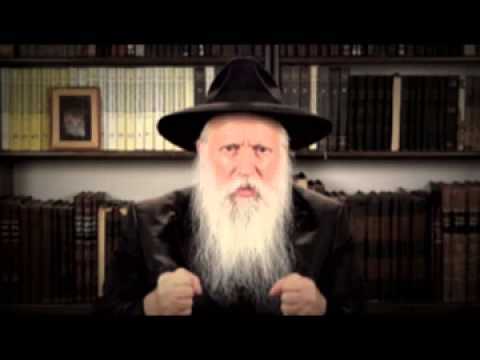 Who is the true Rambam? The Rambam’s work is usually divided into two main areas: the Mishneh Torah and the Guide. In the Mishneh Torah, the Rambam appears to be a classic Talmudic scholar who places the most weight on the Torah’s commandments and their performance. In the Guide, he appears as a medieval scholastic philosopher and seems to place far less weight on the commandments (although the last part of the Guide deals with the rationale behind the commandments). In the Academic world and even in the Torah world, these two seemingly contradictory personas of the Rambam present the question of which represents the Rambam’s deeper identity. To this consideration, we think that a third persona needs to be added: that of Rambam the physician. Up until the age of about forty, the Rambam did not work. He relied on the gem trade his older brother engaged in. But, then a catastrophe struck and the Rambam’s brother was drowned in a shipwreck off the coast of India. The Rambam describes the year that followed his brother’s death as the most difficult time of his life. He not only had to provide from now on for his own family, but for his brother’s widow and children as well. The Rambam had to leave his learning and find an occupation. He had studied medicine throughout his life and after some efforts (told in various histories of his life, some of them hagiographic in nature) became the physician to the Sultan in Cairo. The work in the Sultan’s court exacted a tremendous price on the Rambam himself. In his medical works and in the Mishneh Torah, he literally swears that whomever lives according to his guidelines will never be sick, and will die only of old age. But, he himself was not able to live according to his own guidelines because of the difficulty of his work in the palace. According to most opinions, the Rambam did not reach the age of seventy. Another example of the contradictory nature of his work is that he was very much against astrology, scorning it for being nothing more than a false belief held by only the most vulgar of people. In fact, the very last thing he composed in his life was an epistle against astrology. And yet, at the same time, the Rambam himself made a big deal out of the hour that he was born on, 1pm on the fourteenth day of the month of Nissan. Why did the Rambam not live very long then? According to his own account, he literally worked himself to death. He would leave his home on the outskirts of Cairo about near the crack of dawn, riding a donkey for 45 minutes to get to the Sultan’s palace. After working all morning in Cairo, he would ride back to his home. When he came home there were hundreds of people waiting for him to treat them. He reports that he barely had time to get in the house and drink a cup of tea before he had to see the patients. With short breaks for prayers, he saw people well into the night. 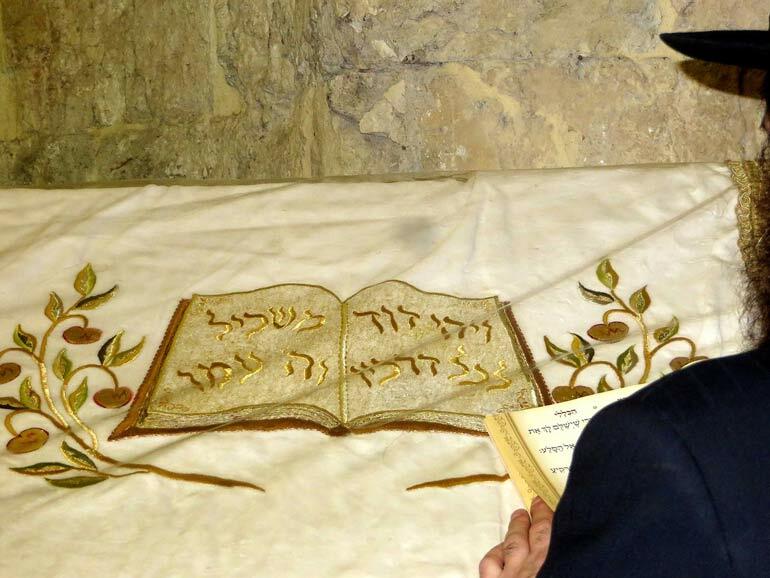 Finally, he was free to continue working on corrections and edits to his voluminous work, the Mishneh Torah and to answer the many questions that arrived at his doorstep from around the Jewish world. He describes himself as so exhausted at this point that he had to lie in bed with his knees raised and write on a block of wood placed across his lap as a table. This was the Rambam’s life after his brother’s death. How different it was from what the Rambam had hoped for. He writes that if it was up to him, he would have lived in total seclusion and devoted his life to learning and to knowing God. But, in practice he had to become a physician. Like in every area of his life, here too the Rambam’s approach was innovative. It can be argued that the Rambam was the first modern physician. He held no bias against patients, all were equal to him. He would never tell a patient what to believe, only pure medicine! Thus, as much as the Mishneh Torah and the Guide represent the Rambam’s two major contributions in Torah, his thirty years of work as a very influential physician together with his voluminous works on medicine make up a third side of his personality. A third Rambam, if you will. Of these three different personalities, which one is considered the major and which one or ones are considered minor. That depends on who you ask. Most do not consider Rambam the physician as a contender for the title of the real Rambam. For most, Rambam is recognized as the Talmudic scholar who wrote the Mishneh Torah or Rambam the philosopher who wrote the Guide. Academics identify the major aspect of the Rambam’s work with his philosophy. In their view, writing the Code of Law was only meant for simple Jews. For a rabbi it is clearly the opposite. The Guide is not studied in yeshivot. The depth of his code of law is so great that it is studied over and over, and there is no end to the innovations in Talmud that come from it. With respect to the Guide, rabbis cite what the Rambam wrote explicitly in the introduction: that this work is meant for only a handful of people, himself included (all great books say the academics were written by the authors for themselves). Perhaps the physician in the middle can unite the two. The work done by the Rambam the physician was one of the greatest examples of pure acts of loving-kindness (he did not charge the simple people that came to see him). Did the Rambam mean what he wrote in the Guide? There is another question raised regarding the Rambam’s writings, especially regarding the Guide. Did the Rambam really believe everything he wrote, or could it be that he had some secret underlying opinion that he did not share? Many secular scholars argue that the more he defends Moses against Aristotle, the more it seems to them that he secretly sides with Aristotle. This has been a controversy between the scholars over the past century. The Rambam himself says that when you teach a student, you have to teach one way, but as the student grows in understanding you have to teach them that what you knew in first grade was good for then. But, now that you are more advanced, I will teach you things that contradict what I taught you then. The Rambam goes even further. In the introductory chapters to the Guide, he writes that in all, there are seven reasons for an author to conceal his true opinion from the masses. Contradictions can be used for literary effect (to stress a certain point). They can also be used as an educational tool. The Rambam explains that at times a teacher presents a topic based on a certain premise, but then the next time he expounds on the same topic based upon another premise that contradicts the first one. But, the student does not know this, only the teacher does. A few classes ago, we mentioned the philosophical opinion that innovation is born from contradiction. Even according to one theory of creation, creation itself is generated from contradiction. This is a very deep concept that can be seen to be expressed in the Rambam’s writings. We are now saying two extremely contradictory things about the Rambam. On the one hand he is considered the most rational thinker, but there is an underlying current in his thought which states that contradiction is mystical. Indeed, the ability to contradict is what we call in Chassidic thought, the ability to “hold a paradox.” Only God can hold paradoxes according to Chassidic thinking. So again, who is the real Rambam? We are saying that the very fact that the apparently different Rambams contradict is what makes the Rambam who he is. The rational Rambam who writes the Guide and the religious Rambam that writes the code of law and Rambam the physician devoted to his patients (of all creeds). Another way to think about the Rambam’s three different personas is using the model of submission, separation, and sweetening. The Mishneh Torah expresses the Rambam’s submission—his submission before the God and the Torah and its laws. The Mishneh Torah expresses the submission of his will before God’s will. By becoming a physician, the Rambam revealed his power of separation. Separation is about fulfilling one’s mission in life and identifying with what God demands from us by pursuing even those tasks that we might not be naturally inclined to. His work as a physician demanded from the Rambam the highest level of separation, cutting him off from what his nature would have him do (learn and study all his life), and making him dedicate his life to helping others. Indeed, the Rambam as a philosopher seems to best represent what was closest to his nature. In that sense, it represents the sweetening aspect of his life. The Rambam was always driven to pursue knowledge of God, and we agree that this makes his philosophical work seem to be the central thread of his being. Alternatively we may say that as a philosopher he separated himself from society, whereas as a physician he devoted himself to healing-sweetening society. Both understandings are true and can help us identify with the Rambam and learn from him in our lives.
. In Chassidic thought, the eternal unchanging will is known as “the essential will” (רצון עצמי). Said Rabbi Yochanan: the Almighty made the ocean with a condition, that when the Jewish people would reach it, it would part before them. This is the meaning of the verse, “The sea returned to its strength [לאתנו, a word that when permuted spells לתנאו, which means]— to the condition that was made with it.
. The Tanya’s original title page was written by the Alter Rebbe himself. 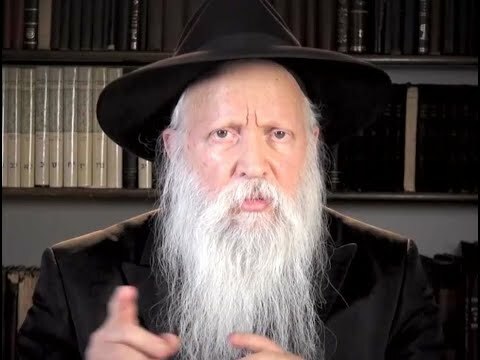 On it he mentions that the Tanya is based on “written works and writers,” where written works traditionally is known to refer to the writings of the Maharal (writers, refers to the scholars/writers whom the Alter Rebbe learnt from in person, specifically, the Maggid of Mezrtich and Rabbi Menachem Mendel of Vitebsk, who is also referred to in the Tanya’s introduction).
. Indeed, at the beginning of the Tanya’s second chapter, the Alter Rebbe writes that even though the Almighty cannot be identified with the intellect (primordial, active, or otherwise), for even the intellect is to be considered infinitely distant from Him, still, the Rambam’s identification of God with the intellect holds true in a sense, because with regard to every reality, or world as it is called in Kabbalah, the Almighty’s infinite light connects to it through the sefirah of wisdom of that reality. In other words, wisdom (the first intellectual faculty) is the only point that can serve to connect the infinite with the finite.
. See Guide 1:68 for a detailed explanation of these concepts.
. See Babylonian Talmud, Megillah 9b.
. Mishneh torah, Hilchot yesodei hatorah 7:3.
. 115 is also the value of “the bush” (סנה) that Moses saw in his first vision—the burning bush that would not be consumed. It is also the value of the word “strong” (חזק). We allude to this last identity and to the fact that Moses’ name is equal to 3 times 115 every time we complete the public reading of one of the Five Books of Moses. After reading the final verse, the entire congregation says, “Strong, strong, we shall be strengthened” (חזק חזק ונתחזק)—repeating the word “strong” three times. Some congregations even just say “strong” three times. Thus, the completion of each of the Five Books of Moses is, as it were, “signed” and “sealed” with Moses’ name.
. One example might be that of Rabbi Abraham Ibn Ezra, who might be considered a second instance of the patriarch Abraham. The notion that these individuals who are called by God using their name twice had a second appearance in the form of another sage can be found in relation to Samuel. One of the sages in the Second Temple era was called Shmu’el Hakatan (lit., the minor Samuel) because he was of almost equal stature to the prophet Samuel (Jerusalem Talmud Sotah 9:13 [45b]).
. The dependence of Greek philosophy on the prophets appears in the works of the ancient historians. Particularly notable in this regard is the testimony of Porphyry in his Life of Pythagoras, Book II. See also Josephus in Against Apion 1:22.
. The sum of the values of Moses’ full name, “Moshe ben Amram” (משה בן עמרם), together with the Rambam’s full name, “Moshe ben Maimon” (משה בן מימון), added to the two aspects of the sefirah of understanding that they represent, binah (בינה) and tevunah (תבונה) is 1820, a most important number in Torah. It is the number of appearances of God’s essential Name, Havayah, in the Pentateuch. Numerically, it is the value of Havayah, 26, multiplied by 70, which is the value of the word “secret,” thus alluding to the verse, “the secret of Havayah is [given] to those who fear Him” (Psalms 25:14).
. Incidentally, the name of the Rambam’s father was Maimon (מימון) which is itself a name stemming from the word for “water” (מים).
. Exodus 33:11 and elsewhere.
. In philosophy, positive theology—knowing what God is—is known as cataphatic theology. We will refer to it here as either positive or affirmative theology.
. One might ask how the Rambam would explain the notion that it is God that sets a person up in such a way that he is driven to do evil. Does this not place the blame for evil also on God? In his writings on astrology, he explains that man is indeed born with different proclivities for good or evil, but he can overcome them. Even when it seems that God Himself is almost seducing the person to do something wrong, according to the Rambam, the person can always decide how to act. A person can always overcome whatever natural proclivities or social triggers, or even nature dictates.
. The Rambam’s legal work, Hayad Hachazakah, has many other implicit references to special numbers. He writes in the introduction that the book contains 83 sections, meaning that he gave this number 83 some special significance. 83 is the value of the word “sickness” (מחלה). By dividing his work into 83 chapters, the Rambam was perhaps alluding to the sages’ statement that learning Torah is a panacea for all illness. It might also be an allusion to the Rambam’s work as a physician who heals. What remains implicit is that the work contains exactly 1000 chapters.
. Sanhedrin 90b-91a. See Aruch laner there. Ketubot 111a. In the midrash see Midrash bereisheet rabbah 95. (See also Zohar III, 91a and II, 199b).
. To the list of contradictions in his work, one might add the fact that he was opposed to any and all attempts at foretelling on which year the redemption would occur. Yet he himself writes that he has a tradition in his family (passed down from the time of the Temple) when the redemption would occur.